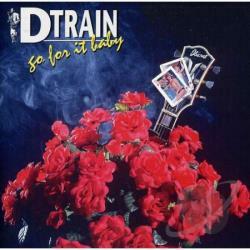 The musicians in D-Train are very close friends, thereby providing a solid basis for a lot of blues oriented fun. These good times flow into D-Train's music and is exceptionally visible on stage. These dudes are the best in their area and have appeared at many blues festivals, both national and international. The raw components are guitars, harmonica, bass and drums. Some horns and background vocals come into play, while Monti Amundson participates on a couple of numbers. It is easy to move with this music, partly because of the pleasingly varied tempos and certainly thanks to the tight playing. Just real solid blues rock that permeates and satisfies.